I picked up this book rather casually from Ulick O’Connor and I read it rather quickly over about ten days. Schiffrin was a Jew who was born in Russia and who lived subsequently with his family in France up to the last war. 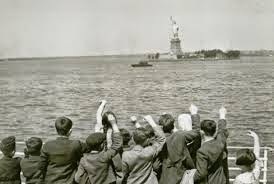 He escaped as a child to Vichy France when the Germans arrived on the scene and eventually escaped to America after many tribulations. Many of his Jewish friends and their families were involved in the Holocaust. Schiffrin arrived in New York at the age of seven. He later became involved in socialist activities and joined socialist groups. He was ever conscious of the dangers to himself during these years leading up to and involving McCarthy and the atmosphere of fear and victimisation which existed then in the bitterly anti-communist and anti-socialist America. The book gives a good idea of the tensions which existed in the 1950s and 1960s. These years included the Korean War and the slow build-up of industrial capitalism, the power of the few and the wealthy, as American dominance advanced in world politics. His visit to Cambridge was of particular interest because of the stark differences in Oxbridge university tradition compared to the American university, Yale, which he attended as an undergraduate student. Cambridge and the discovery of England provided perhaps an over-idealised tribute to the informality, the lack of emphasis on work as a means of achieving wealth and power, and the intellectual freedom as part of an inherent discipline which were features of English society. 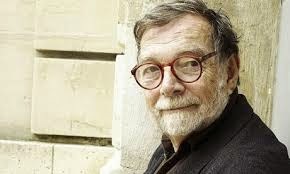 He attributes much of the student rebellion which occurred in England and elsewhere in the 1960s to the rigid division between faculty and students. His description of America during the 1950s and 1960s gives a good insight into the students’ riots in Berkeley and elsewhere. Schiffrin is not without a strong sense of vanity and to some extent he expressed the attitude of Jews and their sensitivities to a widespread prejudice among the gentile population. 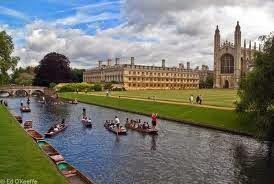 One notes his many assumptions about Oxbridge and its exceptional role in maintaining an academic ambience removed from the worst evidence of capitalism, Cambridge had given him the freedom which he felt that he never had in America in the difficult political years of the 1950s and 1960s. However, he maintains that the more desirable culture of England was later transformed for the worst by Margaret Thatcher and Tony Blair. So I found myself in the Empyrean heights of English culture, a much headier place than the relatively provincial scene at Yale. Schifrin used the blood donations policies of America and England as a metaphor for the difference in the political philosophies of the two countries. In America one paid for blood donations, in Britain (and in Ireland) blood donations were provided by volunteers. His book is a devastating commentary on the activities of the CIA, both at a national and international level, and at every level of politics, social life, education and propaganda in the United States. 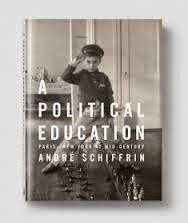 Reading Schiffrin’s book inevitably gives rise to questions about the nature and reality of democracy as we think we understand it. Certainly the huge influence of money with its connotations of corruption seems to be incompatible with the political philosophy of Plato and what we understand to be democracy or government by the people for the people. Like America, we have in Ireland serious doubts about the nature of our current democracy although superficially our problems are somewhat different from those in America. 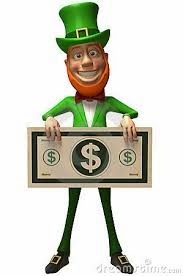 Nevertheless, the power of money and the philosophy of money as represented by such public representatives as Charlie Haughey, Bertie Aherne and Mary Harney are serious impediments to the true nature of democracy. In Ireland, too, our political structures are such that parliament is no longer the institution which governs the day-to–day life of the people. The rigid whip system in parliament has virtually emasculated the independence and the views of the individual deputies. The governments of the Fianna Fáil Party, particularly during the Bertie Ahern regime, allowed too much personal power to the Taoiseach and his advisors in the cabinet and elsewhere. An extreme form of patronage was inconsistent with the principles adopted by the Cumann na nGaedheal government of the 1920s where the leading politicians eschewed any influence in the making of public appointments and where a civil service had the highest standards of ethical behaviour and public service. Why should a constituency in Ireland elect a member of parliament whose personal views and those of his constituency about the country’s administration are throttled as soon as he or she enters the legislative chamber? Clearly a system of whip control is necessary for some financial bills and a few requiring government to function but that they should be throttled in relation to moral, social and political issues which should be by agreement of all parties is unacceptable in a proper democracy. Also we have a civil service which nowadays must cause concern about its accountability and integrity, unlike the civil servants which served us so well in our early years as an independent nation. At least we can rely on the integrity of our National Army since it foundation in 1918 and hopefully on our police force which has served the Nation well.